Sports coaches/officials coach and instruct athletes, and are the officials in charge of sporting events. Source: Skills Active and Sport New Zealand, 2017. Chances of getting a job as a sports coach/official are average, although some specialist instructors are in demand. Pay for professional sports coaches varies depending on the sport and the level at which they coach. Many sports coaches/officials work part time. Sports coaches working on a casual, part-time basis may start on minimum wage and later earn up to $25 an hour. Entry-level, full-time sports coaches can earn $37,000 a year or more. With further experience and coaching success, sports coaches in a few popular sports, such as rugby or cricket, may work as regional or national coaches. Regional coaches usually earn $53,000 to $102,000 a year. National talent coaches who coach individual athletes usually earn $77,000 to $109,000. National coaches for teams usually earn $75,000 to $146,000. look after equipment and ensure players use it correctly. sport science and first aid. may travel around New Zealand and overseas to sports events and competitions. A recurring ankle injury forced Chris Pollock to take a season off rugby, and led him to becoming a referee. "I intended on getting rehab and back into playing, but decided to try out refereeing till I was back on the playing field. 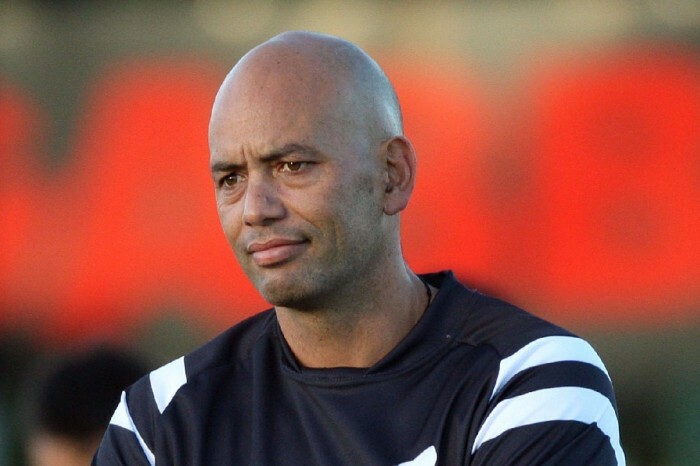 I refereed a First XV trial and really enjoyed it, so I stuck at it." A year later Chris refereed his first premier-level rugby game. He hasn't looked back, and these days he can be found refereeing test matches as part of the International Rugby Board’s elite referees panel. Chris says the most important skill in refereeing is learning how to manage people. "You get to a point as a referee where anyone can identify infringements, but the difference between an average ref and a ref at the top level is the way they deal with players – it's people management skills that set a good referee apart from the rest." Chris admits that refereeing can be stressful at times, but that's all part of the challenge that he enjoys. "I like the stress factor because it drives me. No two games are ever the same, so I'm always learning something new, and I love the challenge that each game brings." Hi, my name is Shaka Sola and I'm a coach. I coach athletics. So, welcome to my world of coaching. I love this job because it's outdoors. You get to be outside in the sunshine and also just to see the kids that I coach grow into athletes, better themselves as young people and giving their personal best and seeing that smile on their faces when they achieve. Being a good coach, you've got to be a motivator. You've got to also be able to sort of get the kids together and give them a lot of positive instructions. Being positive – we tend to go negative sometimes in things we do, but being a good coach you've got to motivate that kid, you've got to encourage them, you're gonna make sure that they achieve their best by feeling good about themselves. The most rewarding thing about this job – you know, the smiles on their faces, the difference I can make in their lives and encouraging them to be better people. That's what makes me a better coach. a good working knowledge of the sport they wish to work in so they can pass theory exams and practical tests. Sports coaches who work with children may need to pass a police background check and/or hold a first aid certificate. Coaches who want to work with high-performing sportspeople can apply to the High Performance Sport New Zealand Coach Accelerator Programme. There are no specific secondary educational requirements for sports coaches/officials, though NCEA Level 1 is recommended. Useful subjects include physical education, home economics, maths and English. adaptive skiing for people with physical disabilities. Snowsport instructors can also do further study to become trainers, examiners and coaches. You have to be quite perceptive about how you think other people will respond. I coach on instinct sometimes in terms of how much pressure I put on players. Sports coaches/officials need to need have excellent fitness and health. Most sports coaches/officials start out as volunteers working with players and teams at a lower playing level. However, you may need to volunteer for some time before you get the opportunity to do paid work. Opportunities to become a volunteer sports coach/official can begin while you are at school. Once sports coaches/officials get paid positions, they tend to stay in them for a long time. However, some vacancies do come up as it is a large occupation, employing 8,533 people in 2016. Few sports are played year-round in New Zealand. This means most sports coaches/officials need a second job, or have to work part of the year overseas to make a living. Your best chances of getting a job are as a snowsport instructor or skydive tandem master as these roles are in demand. Snowsport instructor's and technicians, and skydive tandem master appear on Immigration New Zealand's immediate skill shortage list. This means the Government is actively encouraging skilled sports coaches/officials from overseas to work in New Zealand. Marshall, P, industry development adviser for sport, Skills Active Aotearoa, Careers Directorate – Tertiary Education Commission interview, August 2017. New Zealand Snowsports Instructors Alliance website, accessed August 2017, (www.nzsia.org.nz). 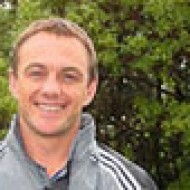 Sport New Zealand website, accessed August 2017, (www.sportnz.org.nz). Diving instructors train and instruct recreational or commercial divers in diving techniques, safety, and the correct use of diving equipment. Dog or horse racing officials co-ordinate and direct dog or horse racing activities, and liaise with other officials to enforce racing regulations. Gymnastics coaches train and instruct gymnasts by analysing their performances and developing their skills. Horse riding instructors teach people how to ride horses. They analyse the performance of horse riders and jockeys, and develop their skills. Skydive Instructors teach people how to parachute. Snowsport instructors teach people how to ski or snowboard and improve their technique. Sports officials enforce rules during sporting events or judge the performance of those taking part. Swimming coaches train and instruct swimmers and help them to develop their speed and technique. Tennis coaches work with tennis players to help them develop their skills and technique. Professional sportspeople take part in competitive national and international sports such as rugby, cricket, golf, horse racing, and tennis, or may be employed as lifeguards. Personal trainers/fitness instructors help people improve their general fitness or train for special events through individual programmes or classes. Outdoor recreation guides and instructors teach or guide outdoor activities such as rafting, kayaking, canyoning, skiing, hunting, climbing, caving and mountain biking.